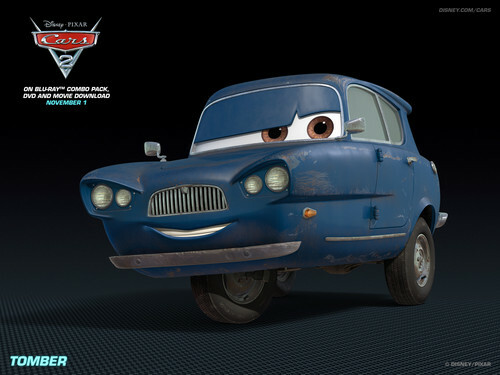 Tomber. . HD Wallpaper and background images in the Disney Pixar Cars 2 club tagged: cars 2 wallpaper. This Disney Pixar Cars 2 wallpaper might contain sedan, saloon, minicar, hatchback, and hatchback door. This guy should have been English. He's based off the Reliant Robin, for gods sake.